Simon & Schuster. Near Fine in Very Good+ dust jacket. 1986. Third Edition. Hardcover. 0671624148 . Clean, tight condition. Hardcover has no markings, very light soiling outer edge of pages, wear is minimal. Jacket has light edgewear, light creasing, light age tanning. "Everything the fan needs to know about picking winners, including computer handicapping. How to profit from trackside video; the truth about equine medication; key breeding lines; what to watch before the race; promising jockeys; consistent trainers; 60 ways to build your own system. "; 8vo 8" - 9" tall . Arco Publishing Company. Very Good. 1978. Softcover. 0668038721 . Light edge and corner wear to cover, light soiling on one or two pages. Front cover has some light creasing/waviness and this also affects the first few pages. 127 pages. B/w illustrations. " How to choose contenders. How to rate contenders. How to eliminate high-risk races. How to pick the races to bet on. How to interpret past performance charts." (os) ; 4to 11" - 13" tall . William Morrow. Near Fine in Near Fine dust jacket. 1992. First Edition. Hardcover. 0688116531 . HC/DJ - near fine, very nice condition. Hardcover fine other than name crossed out inside front cover and a little bumping to spine ends. Jacket has light edgewear, light scuffing, one tiny edge tear. "Henry Kuck is a rarity among handicappers. He not only wins consistently, but can teach others how. 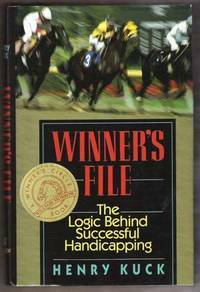 Winner's File is all meat - the most effective handicapping book in years. " --Tom Ainslie; 8vo 8" - 9" tall . By Quirin, William L. Ph. D.
William Morrow. Near Fine in Very Good+ dust jacket. 1986. First Edition. Hardcover. 0688059295 . HC/DJ - near fine/VG. Hardcover has previous owner's name crossed out (small) inside front cover and a little bumping to corners, otherwise clean and tight. Jacket has light edgewear, scuffing, age tanning to edges. How to pick winning horses in a variety of situations where standard handicapping principles may not apply. 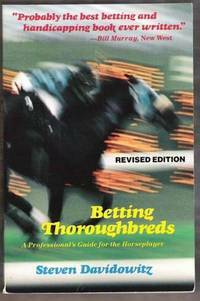 ; 8vo 8" - 9" tall; "Here's a thoroughly practical book that provides concrete examples of how to put into practice modern theories of handicapping. 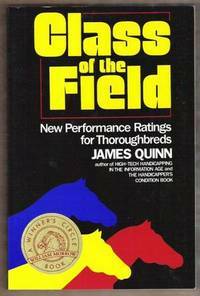 Using examples of actual races, Dr. Quirin shows how to analyze forty-one different situations that may arise due to the race condition, the track surface, or the horse itself. " . Ballantine Books. Very Good+. 1987. First Edition. Softcover. 0345336488 . Clean, intact condition. Pages unmarked. Cover has light edge and corner wear. A little age tanning to page edges. How to rate horses, trainers, and jockeys. Learn which factors really influence thoroughbred races and how handapping systems work - and which don't work. (300os) ; 8vo 8" - 9" tall . E. P. Dutton. Very Good. 1983. First Edition. Softcover. 0525482377 . Light edge and corner wear, creasing to spine, small tears spine ends, price sticker on rear. Interior pages clean and tight, a little soiling to outer edge of pages. ; 8vo 8" - 9" tall; Review: "Andrew Beyer's Mentor ..... 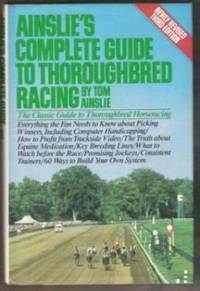 This is clearly one of the best books ever written on Thoroughbred Handicapping. 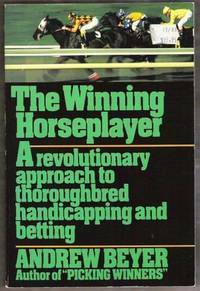 It should become evident soon after the opening chapter how complex and laborious the life of a professional horse bettor must be to hold an edge over the betting public. Steve is a genuine winning handicapper himself, and reveals what it takes to win..." (300-noto) . William Morrow. Near Fine. 1992. First Edition. Softcover. 0688112773 . Very nice condition. Pages clean and intact. Cover has very light edgewear and some scuffing. 144 pages. 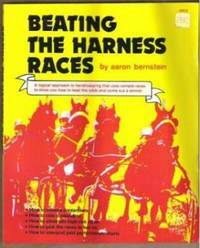 Author outlines his '100-point Blueboy Method', a method for rating class that avoids the flaws of its predecessors by assessing real abilities....and original contribution to racetrack handcappers everywhere. (osl) ; 8vo 8" - 9" tall . William Morrow. Fine in Fine dust jacket. 1995. First Edition. Hardcover. Hardcover clean & unmarked. Jacket is fine other than light edge wrinkling. 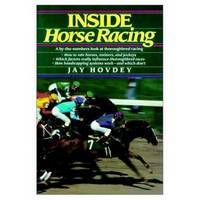 The author shows bettors how to maximize the potential for such wagers as simulcasting, cross-track betting and stakes festivals, as well as describing how to avoid painful and costly mistakes. ; 8vo 8" - 9" tall . William Morrow. Near Fine in Near Fine dust jacket. 1988. First Edition. Hardcover. 0688065503 . Hardcover is clean & tight other than small name crossed out inside cover. Jacket has light edgewear, light scuffing. 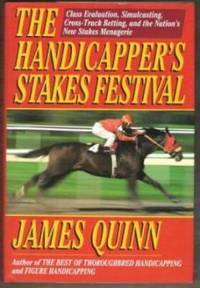 "Psychologist and handicapping author Quinn has devised a test for bettors to gauge their knowledge of handicapping. 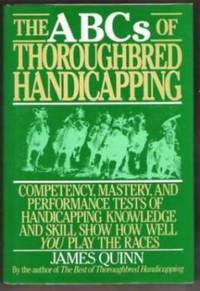 Believing in "testing as a means of instruction, " he provides 890 multiple-choice and true/false questions designed to identify minimum and master level competency for novice and experienced handicappers. With each skill area test Quinn lists expected competencies, minimum scores, definitions of terms, explanatory comments, and sources...."; 8vo 8" - 9" tall . Houghton and Mifflin. Very Good+. 1984. Softcover. 0395377617 . Pages clean & tight except for 2 earmarks & a title underlined on those pages. Cover has light edge & corner wear, spine crease, price sticker on front. The Winning Horseplayer, together with Beyer on Speed and Picking Winners, completes Andrew Beyer's triple crown. 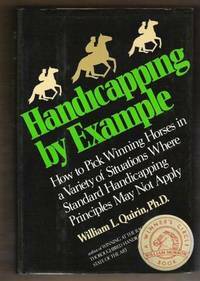 This advanced guide to handicapping is liberally spiced with the wit and wisdom that have made Beyer a legend in the sport. (*shipping will be reduced to most locations). ; 8vo 8" - 9" tall .